When your electric chainsaw stops working, chances are good that if you want to save time and money the best thing you can repair electric chainsaw by yourself. Just as is the case with anything of this sort, the best way to determine what is wrong with your chainsaw is to take note of the “symptoms” that it is exhibiting. If your electric chainsaw stops working, here are some things to look for and what you can do to fix them. Regardless of what you do, make sure that whatever you try is done safely. Remember that you are working with a tool that is not only electrical, but is also designed to cut, and it will do that to whatever gets in its way, including you. As a result, be careful. The engine won’t start. This problem could be caused by a bad starter switch. First make sure that all of the connections to the starter are secure. Next, you might want to make sure that your power cord isn’t cut and that it is connected with your saw as well as the power source. If all of these items seem to be okay, go ahead and replace your starter switch. Smoke coming from your chain. If there is smoke coming from the chain the chances are good that it needs lubrication. The chain not being properly lubricated will eventually cause the chain as well as the chain bar to be damaged. Also, make sure that there is oil in the reservoir. When the saw is started, the oil is automatically distributed to all of the working parts. You can make sure that this is working properly by holding the saw upside down over a dark sheet of paper and turning it on. If oil fails to splatter onto the paper, you should check to see if the discharge slots are clogged. If they are, clean them out, and then turn the saw on again to make sure that the chain and chain bar are being lubricated. Chain skips or jumps. If while working your chain skips or jumps, you will need to check your drive sprocket to make sure it is not worn. If it is worn, your chain will not sit on it properly and won’t be driven correctly. You should also make sure that the tension on the chain is set properly. Setting the tension of your chain correctly will ensure that it will work smoothly without skipping or jumping. Setting the chain to the proper tension will also lengthen the life of your chain. The saw cuts improperly. If your saw will not let you cut at the right angle, or there is an unusual amount of sawdust coming out of it, you might need to sharpen the blade. 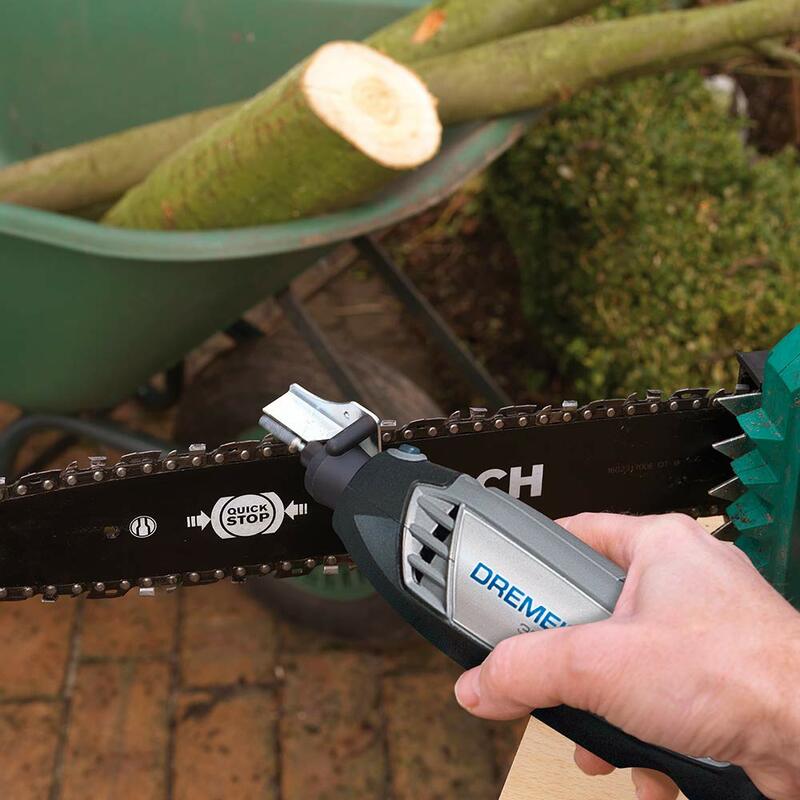 Just as the case with anything that works best when it is sharp, an electrical chainsaw that is dull is dangerous. A dull chain can cause it to kickback to you or jump, which might cause it to knock chain pieces off that could cause you serious injury. If the chain appears to be very shiny, check it for undue wear. With the right file, you can easily sharpen the cutters well. Chain continues to move or stops when the engine idles. If the chain of your saw continues to move or stops while it is idling, your idle is probably set too high. If the chain stops while cutting, make sure the brake hasn’t become engaged. Loses power. If while operating your saw it loses power, check to make sure that all of the electrical connections are secure. A break in the electrical current may cause the saw to slow down or stop. If despite all of this you are still having problems with your saw, it is probably something that you should have checked out by a professional. Before you take it to just anyone, make sure that you check the warranty, since if it is under coverage, having an unauthorized repair person work on it could void the protection. If your saw is not under warranty, you should check to find a repair person who is authorized to work on your brand of chainsaw.